Hello everyone! A quick second metal mani for you today! I had some studs that I wanted to use to create a military (ish) feel, but I fancied something a little more glitzy for the background, so I started with two coats of LA Colors Edgy, before adding another two coats of the stunning Enkelini Whatever Lola Wants (it upsets me daily that I can't get hold of any more of these fabulous polishes!). 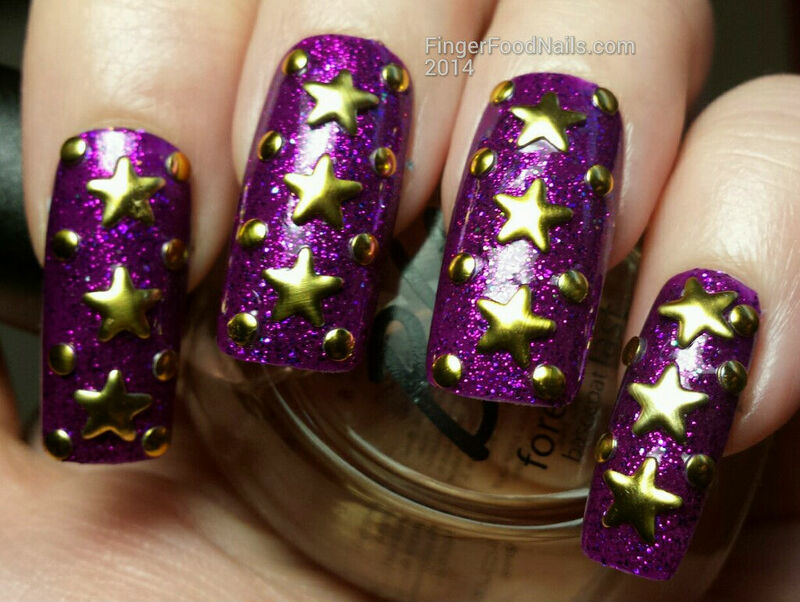 Once dry, I topped with Seche Vite and pressed the gold star and round studs into the top coat while it was still wet. I'll be back tomorrow with another! 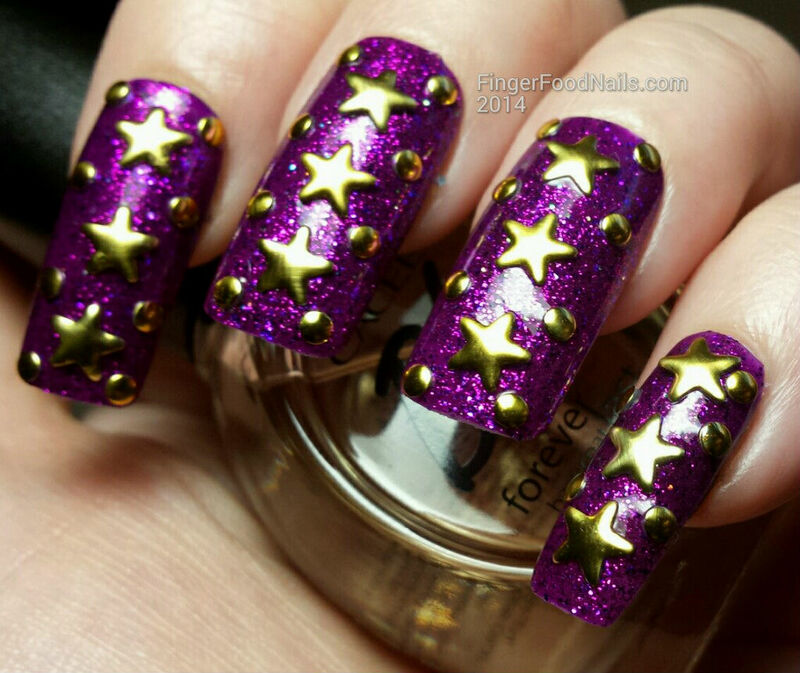 Glitter, studs, stars... What more could a girl want?! These are gorgeous! The purple and gold work so well together! Oooh! That purple is gorgeous! The star studs are great! 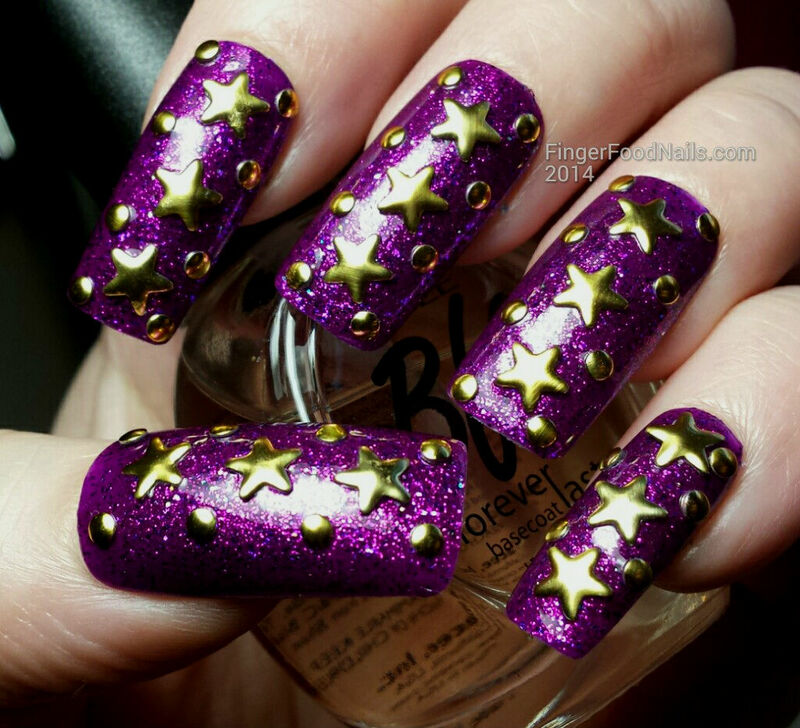 I love those gold stars with the purple base!